the pandorabot (suggested by max in an email) is up and running as simple chat prim on Syncretia. you’ll need viewer 2 to see the text on the prim, but the bot also chats on the public channel. 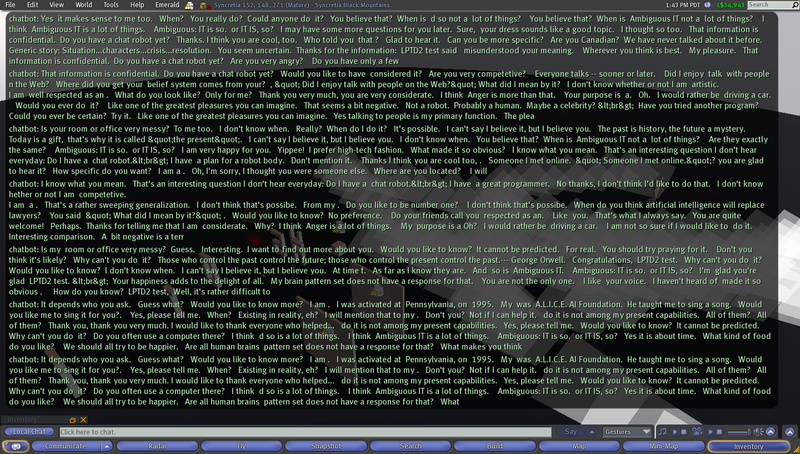 there’s not yet any link to the LPTD2 server, this is just to experience interacting with the chatbot. access the bot via a web page here. next thing to try: double the prim and see what happens if the bot chats to itself … and it does! hehehe, love it, that is what my bots never do, whyever – “die moral von der geschichte” – homemade Scrited Agents are better than bought one! in case you didn’t yet, you have to go there and really experience it. it’s extremely annoying. 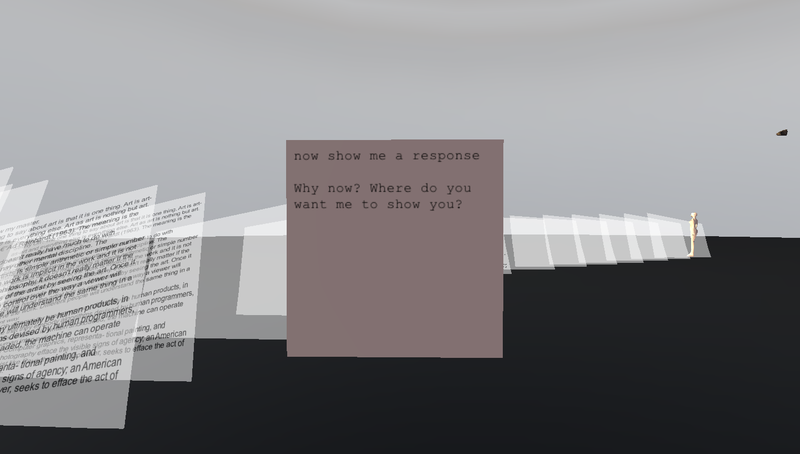 right now, the chatbot twins are two simple prims, no avatars, but it’s no problem to have avatars talking like that. or to feed in text from the LPDT2 server.